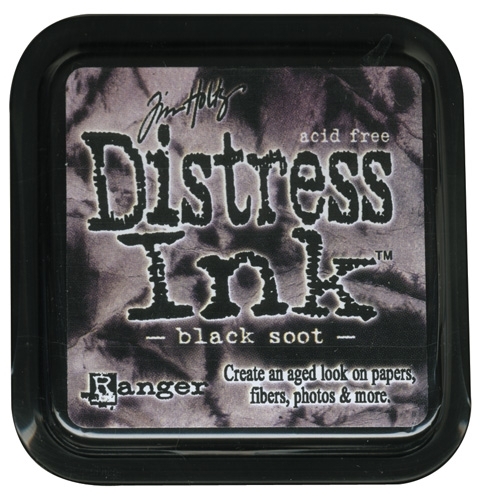 Tim Holtz Distress Ink er en samling med 36 syrefrie, vannbaserte dye ink. Brukes sammen med en god vannpensel. De er fargeekte og mister ikke farge i kontakt med vann. De er også perfekt å bruke for å få et eldet utseende på et prosjekt. Puten måler 5 x 5 cm og selve boksen måler 7,5 cm. Tim selected the colors and helped develop these inks to produce a realistic, weathered look on paper, photos and decorative fibers. All the colorful Distress Inks afford added versatility when photo tinting and color layering with the original, award winning tones. Tim Holtz is the Creative Director for Ranger Industries, one of the leading manufacturers of innovative inks, paints, and embossing products. Tim plays an integral part in the development and design of cutting edge paper crafting products. Tim has teamed up with various key companies like Ranger, Advantus,Stampers Anonymous, Sizzix, Tonic Studios, and Core’dinations to bring unique products that work hand in hand with Rangers extensive lines.